With an eye on the challenges ahead, Singapore must build up the necessary support for the continued well-being of its young and old, says Prime Minister Lee Hsien Loong in his Chinese New Year message. Chinese New Year is about family. The many Chinese New Year traditions passed down from generation to generation are steeped in family values. Families gather on Chinese New Year’s eve for reunion dinners (团圆饭). Even those who are abroad will make an effort to connect with their families back home, and celebrate this special occasion together. We stay up through the night to see the year in (守岁) for our parents’ longevity, and give our children red packets (压岁钱) for good fortune. These customs reflect the enduring hopes of every generation, that our aging parents live well in their silver years, and our children grow up happy and successful, in a peaceful and prosperous world. 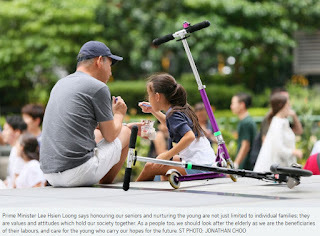 Honouring our seniors and nurturing the young are not just limited to individual families; they are values and attitudes which hold our society together. As a people too, we should look after the elderly as we are the beneficiaries of their labours, and care for the young who carry our hopes for the future. Our population is aging. We are working to enable Singaporeans to lead active and meaningful lives in their silver years. This means creating strong social support and community networks, keeping elders socially engaged, and building up healthcare systems and services. It is not just younger generations taking care of their elderly parents, but today’s generation looking ahead and providing for our older selves of tomorrow. At the same time, we strive to give our children the best chances in life. 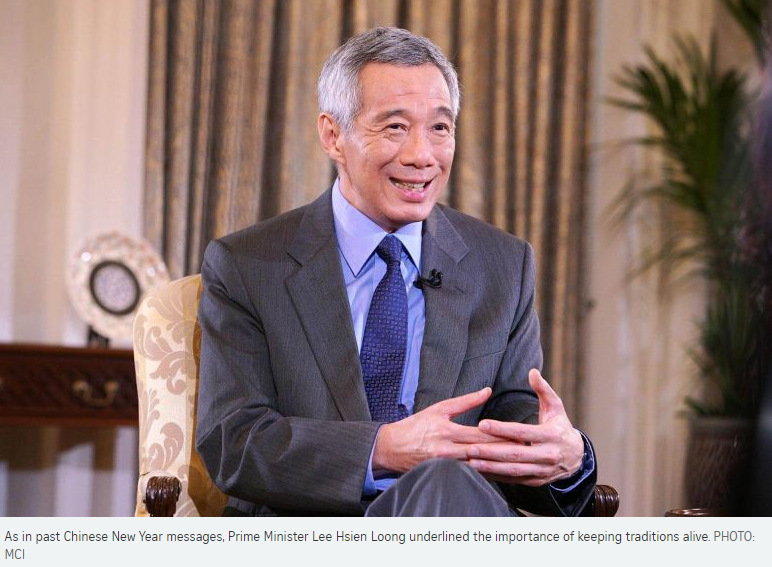 We are fortunate to live in Asia – a dynamic and fast growing region. We should prepare ourselves to seize the many economic opportunities around us. We should make full use of new technologies, to progress with our partners and neighbours. We will help our young to uncover their diverse talents, and invest heavily in them through education and training, so that when they grow up they can strike out on their own, build their own families and careers, and fulfil their aspirations and dreams. We will invest in Singapore, to build our city and infrastructure, and upgrade our living environment and economy, so that the next generation can continue to create new possibilities, prosper and flourish. We should uphold our time-tested Asian values of thrift, self-reliance, and leaving something more for our children, instead of burdening them with their parents’ debts. We must always think beyond the immediate and beyond ourselves, to look and plan over the horizon on behalf of future generations. I hope you will reflect on these issues in quieter moments over the festive season, in between celebrating with friends and family. The Government too will not stop thinking about what it needs to do, to ready our society for these challenges. Minister Heng Swee Keat will deliver his Budget speech on Monday, immediately after the holiday weekend. These issues guide the thinking behind the Budget. Let us build our shared future together, so that generations of Singaporeans can look forward to more prosperous and joyous Chinese New Years. As we usher in the year of the Dog, let us be dogged in our efforts to create a better Singapore and a brighter future for our children. Let us also cherish the blessings of kinship, thank our elders for what they have done for us, shower our children with love, and create more shared happy memories with our families. Happy Chinese New Year! 祝大家狗年兴旺，万事如意!